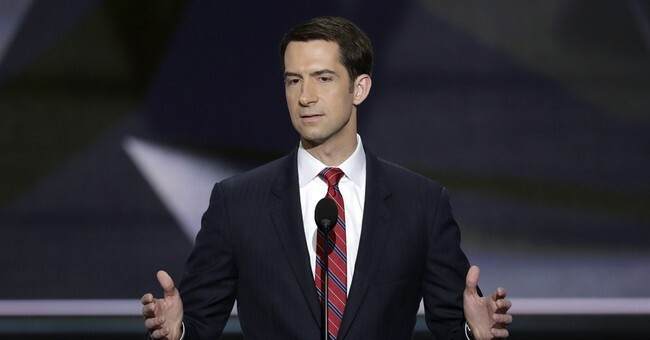 Cotton: Say, Why Did Obama Reject Republicans' Proposal to Fight Russian Disinformation? The White House opposed a Republican-led push earlier this year to create an executive-branch task force to battle Russia’s covert information operations, according to a document obtained by POLITICO. Sen. Tom Cotton, a leading GOP defense hawk who has long urged President Barack Obama to take a harder line on Russia, sought to force the White House to create a panel with representatives from a number of government agencies to counter Russian efforts "to exert covert influence," including by exposing Russian "falsehoods, agents of influence, corruption, human rights abuses, terrorism, and assassinations.” But the administration rejected the call, saying in a letter to Congress that hasn’t been released publicly that the panel would duplicate existing efforts to battle Russian influence operations — an argument Cotton rejects. His proposed task force drew bipartisan support as part of a larger intelligence authorization bill that passed the House but never got a floor vote in the Senate. The panel would not have been set up in time to have had an impact on Russia’s role in last month’s presidential election — even if the intelligence bill had become law. But the Arkansas senator said in an interview the White House’s dismissal of his proposal is symptomatic of the administration’s lax pre-election attitude toward Russia.